Often the worst time to search for a job is when you’re in need of one right away. Employers know when you’re desperate. It shows through your willingness to accept any job available even if it’s below your skill set. Desperation also manifests itself through nervousness during interviews and surface level research. For these reasons the best time to improve your employment prospects is to do so while you’re already employed. This allows you to search for your next career without worrying about paying your bills or putting food on the table. Improving your job prospects can take some work, but if you follow the secrets we’ve outlined below you’ll be well on your way to finding your next career path. Looking for a promotion within your organization? One sure fire way to do this is to deliver top-tier work in everything you do. That means showing up to work early, being available more often when your organization needs you (such as when someone calls off), performing your duties better than your colleagues, showing a positive and refreshing attitude when you walk through the front door and ensuring your actions are furthering the goals of the company as a whole. Employees who have a purpose tend to put more effort into their work than their colleagues who simply show up to collect a paycheck. In many organizations, promotions are given to those who are not only competent and capable of higher level work but also those who are passionate about the organization. Analyze the professional demeanor of those in the position you desire and emulate them. More often than not promotions are given to those who show they can handle the position even before it’s offered. Essential Employee Retention – Employee retention factors are more important than ever. An employer’s ability to retain employees is no longer an aspect of being a “good” place to work. Retaining Top-Tier Employees – Retaining top-tier employees should be a major concern for HR leadership as organizations face increasing turnover rates and outside competition for their best talent. 6 Ways to Retain Top-Tier Talent – You’ve whipped your clinic into shape, beefed up your benefits package, gotten your head in the game, and asked the right questions. Effective Employee Retention Strategies – Employee retention and employee job satisfaction should be high on every organization’s list of priorities, and why creating effective retention strategies to decrease turnover should be one of management’s most important jobs. Employee Retention Statistics – Employee retention is a challenge for nearly every organization Even the best leaders have a hard time keeping top talent. The more you know, the more you grow. It doesn’t matter how large or successful your organization is, if you don’t stay up to date with the latest industry trends, you will no longer be relevant to your target audience, and they’ll likely go to your competitors. Staying up to date on industry news allows you to identify trends that you may have missed. It may also reveal pertinent information that you can use to increase revenue for your organization. Top Marketing Blogs and Publications – The marketing industry must constantly evolve alongside the audiences it attempts to reach. Cutting-edge is adequate, and everything else falls by the wayside. Improving Your Employment Opportunities – Put yourself in the position to create and grasp opportunities. How To Improve Your Job Prospects – Completing work experience shows employers that you’re passionate and willing to do whatever it takes to land a job in your field. It can also help you narrow down your employment options. Ways to Improve Your Job Prospects – Stop what you’re doing and make some changes; you may be surprised by the results. 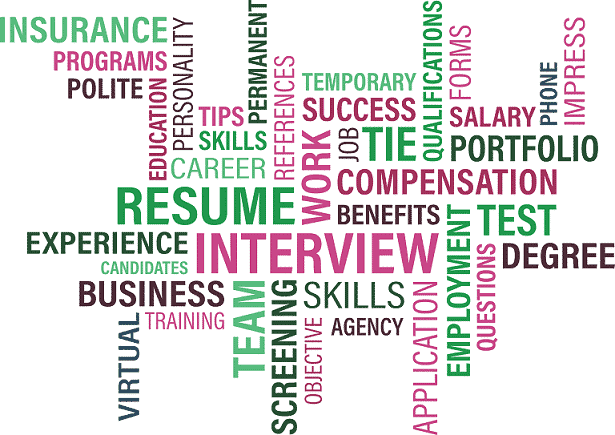 Improve Your Job Prospects – As most of us know job hunting can be a very stressful—not to mention time consuming—process. What does this have to do with improving your employment job prospects? It allows you to identify the businesses and individuals who are leading the pack in your industry. Not only can you implement these strategies in your current job position, but it also provides opportunities for you to interact with industry leaders during presentations, association meetings and industry events. There’s certainly nothing wrong with associating and learning from the best of the best. You’ll find that associating with high-level individuals will often afford you opportunities you may otherwise not have had both outside of your organization and within. 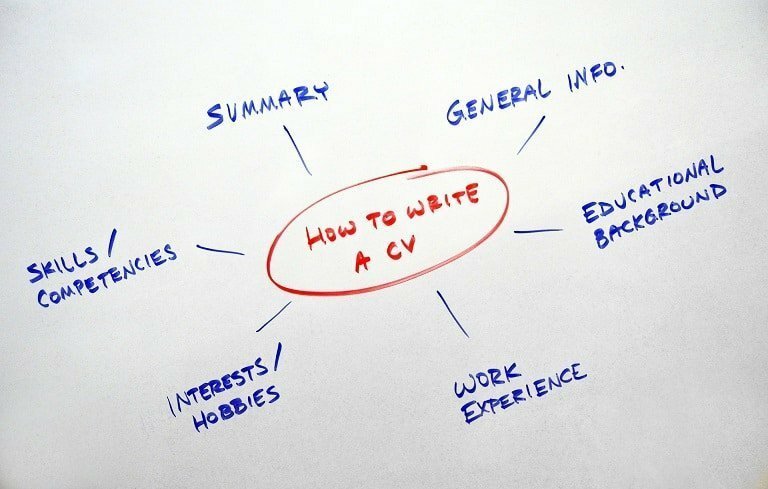 A Winning CV That Stands Out – Until a potential employer meets you, your CV is the only thing representing you so make sure you give yourself the best chance of a positive outcome when applying for any role and follow this 7 steps for your cv. Preferred, and Desired Skills – When you read most job postings you probably notice that employers place different weights on the skills they want in a candidate. Promoting Diversity in the Workplace – Promoting inclusiveness and diversity within your workplace is one of the best ways to foster an open-minded, global company culture. Guide to Startup Roles – For many people who are considering a jump into the startup industry there is one often mysterious question they must answer. Test Your Job Candidate’s Commitment – The most annoying thing recruiters have to deal with is an uncommitted and time-wasting job candidate. The roles in question don’t necessarily have to be something you’re entirely qualified for at the moment, but they should at least have some relation to your current job position. At the very minimum, these roles should be something that peaks your interest. You don’t have to stop at two; you can pick as many as you like. However, keeping the number low keeps you from being overwhelmed by the sheer amount of choices. Once you’ve found them, identify the reasons why you picked them. Do they allow you to work remotely? Do they pay more? Are they roles you thrive in? Do these roles allow you to travel more? Don’t think of these questions as being right or wrong. Just focus on the reasons why you picked them and write it down. Writing down this information will allow you to more easily visualize your choices and perhaps help to motivate you to meet your targets. Writing down your desired job roles also helps you to make decisions in the future to help you achieve your goal. People who are stuck at jobs they hate often don’t have a willingness to improve their knowledge of how their industry works (which could provide opportunities down the line). Showing professional curiosity is one way to stand out from the rest of the pack. This involves talking to people from different departments and even different companies to learn how success is measured. Talk to higher-ups about their thoughts on various industries. Take the time and even invest money into taking classes and attending conferences to learn more about your industry of interest. You can easily find association groups for your industry if you’re willing to do a few simple online searches. In other words, be willing to learn as much as you can and challenge yourself each day to learn a little bit more. You can do this by keeping up to date on industry trends, but also through your various interactions with people. Networking is a powerful tool, especially when you attend conferences. If you’re interested in learning more about your current company try taking your manager out for a cup of coffee. You can even pick the brains of a fellow coworker who works in a separate department during your lunch hour. We tend to forget that humans hire other humans. We’re not robots, so making meaningful connections can greatly influence your ability to land your desired future job position. Therefore, you should make it a habit of making as many meaningful connections as you can everywhere you go. You’ll be surprised at how quickly you’ll grow your network when you present a friendly and polite demeanor while you’re out meeting people. It’s human nature to be helpful to one another. It makes us feel good. If you take the time to learn more about other people and offer your services in a helpful way, don’t be surprised if they reciprocate. This is a great way to improve your job prospects. Ways That Will Help You Stand Out In Your Career – This type of drive is a form of curiosity many job seekers and professionals have. Curiosity vs Experience – Acquiring top talent requires the curiosity to engage people in innovative ways. How to Demonstrate Curiosity in Interviews – If you have passion about one thing, chances are you can have passion about another thing. Job Qualifications – What comes to mind when you think of the term “soft skills?” When you look at a job description, the primary qualifications are usually characteristics like organizational skills, project management, and leadership. Curious People Make Better Employees – Curiosity isn’t reserved for childhood. It’s a powerful characteristic that keeps you engaged and sharp at work. Confronting a task before it becomes a necessity makes it that much easier to deal with in the future. Even if you have a great job now you (or your manager) may want to make a change sometime in the future. Be prepared for that change by incorporating these secrets into your daily routines and improving your job prospects.